Judith is a solicitor and her specialist skills include all aspects of commercial property law, business law and employment. 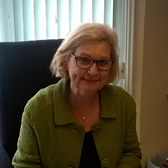 With nearly 40 years’ experience in the law, she has worked in banking, industry, the media (including 6 years spent in the BBC Legal Department) and in private practice. She operated her own practice from 1997 to 2013. Recent Articles she has written include (1) ‘What you need to know about leasing a restaurant’, (2) ‘What you need to know about leasing a shop’ and (3) ‘What you need to know about assigning a lease’. Judith currently works as a freelance solicitor specialising in commercial property work. She can be contacted at judithmlong@msn.com.